Is Your Immune System Holding You Back? - YeastInfection.Org by Eric Bakker N.D.
You are here: Home / Yeast Infection Treatment / Is Your Immune System Holding You Back? August 22, 2013 by Eric Bakker N.D. When it comes to the immune system, most people are only familiar with terms such as infections and allergies. Many people I have seen are not even aware that stress can play a fundamental role in the development and maintenance of their yeast infection. 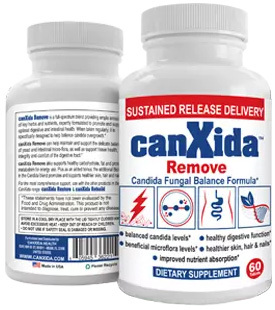 This is an important section of the Candida Crusher, because you are about to learn that stress can and does take its toll on your immune system, reducing your resistance and increasing your susceptibility of a yeast infection. Once you understand the stress/candida connection and know that you can do something about it, you will be in a better position to be able to fully recover from your yeast infection. This article is one of the key areas of the Candida Crusher, and often one of the forgotten aspects of yeast infection recovery. Your immune system is greatly influenced by your stress levels, and a powerful immune system can help you recover rapidly and permanently from a yeast infection. Once you learn about the stress/candida connection and work on balancing your autonomic nervous system, (more on this in future posts) you will be amazed and delighted at how quick your body can recover from a fungal overgrowth that may have been plaguing you for years. Why Fermented And Cultured Foods With Candida? This information will be especially helpful for those with candida who get better but don’t seem to fully recover; they only partially recover and then seem to slowly get worse again. They have followed a strict diet, take supplements and exercise regularly. They get enough sleep but still can’t seem to get on top of their yeast infection. Have they looked at the influence of stress in their lives? First let’s explore the topic of immunity and candida a little further and take a look at the interplay between candida metabolites and your immune system in particular. A metabolite is just a fancy term for any products of metabolic change, i.e., what your immune system does to candida and also to any chemicals that candida produces, like waste products. In these posts, and in the immune section of my book, I will also explain what I call health busters and health builders and then elaborate on the relationship between adrenal fatigue, stress and yeast infections. We’ll also talk about what you can help to beat a yeast infection by boosting your immune system and beating stress, one of the biggest, most misunderstood and hidden causes of chronic ill health today.